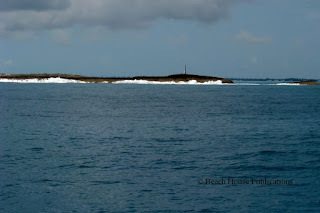 Our plan was to use the Don't Rock Passage if the Whale Cay Cut was going to be uncomfortable or unusable. On the day we planned to leave Treasure Cay, the weather was already starting to deteriorate with lots of rain all around. High tide was not until 1:30 PM and we feared that by that time, the afternoon thunderstorms would begin with a vengeance. Early in the morning the winds were light and the seas were fairly flat. So as we often do, plans were adjusted and we decided to go around the Whale. As we exited the channel from the harbor and headed for the cut known as Loggerhead Channel, we could see rain off in the distance and we were tracking it with our onboard radar. 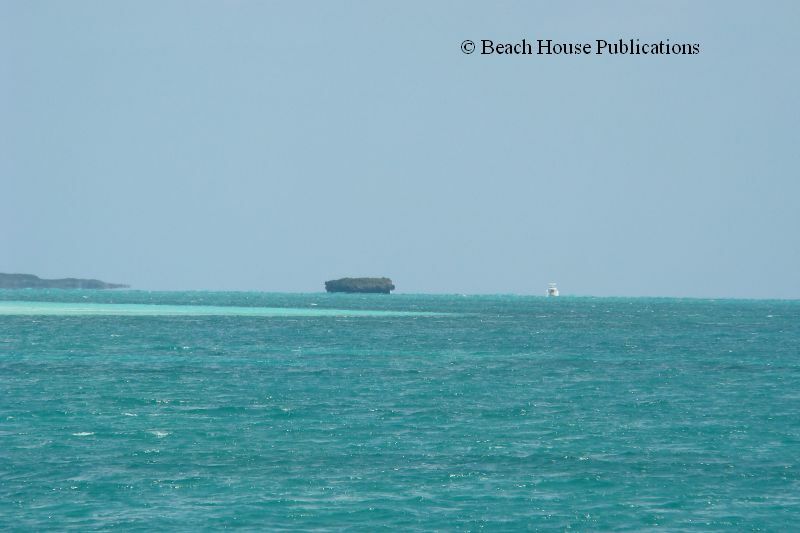 The trip around to Green Turtle was only about 22 nautical miles and the swells at the cut were reported to be about 2 to 4 feet with 12-second intervals. This makes for long slow swells and not a problem. 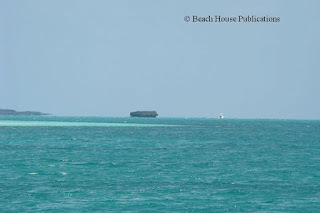 Once around the Whale and making the entrance back into the Sea of Abaco, we could see that the rains had moved between us and Green Turtle Cay, so not getting wet was no longer an option. Fortunately we were well inside Whale Channel by the time the rains hit us because visibility went to nothing as it poured on us. We moved from the flybridge to the inside helm just in time. Using the autopilot and computer at the lower helm we kept our course in the deeper waters of the channel until the rains passed. It was odd to see the rain falling on us while the sun was shining brightly over Green Turtle Cay and the settlement of New Plymouth. 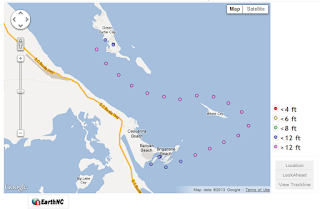 As we approached, there were several boats anchored outside the New Plymouth harbor, which is very shallow. 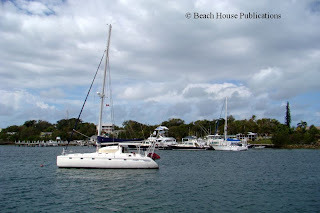 We headed into Black Sound to figure out if we would anchor, pick up a mooring or find a slip. 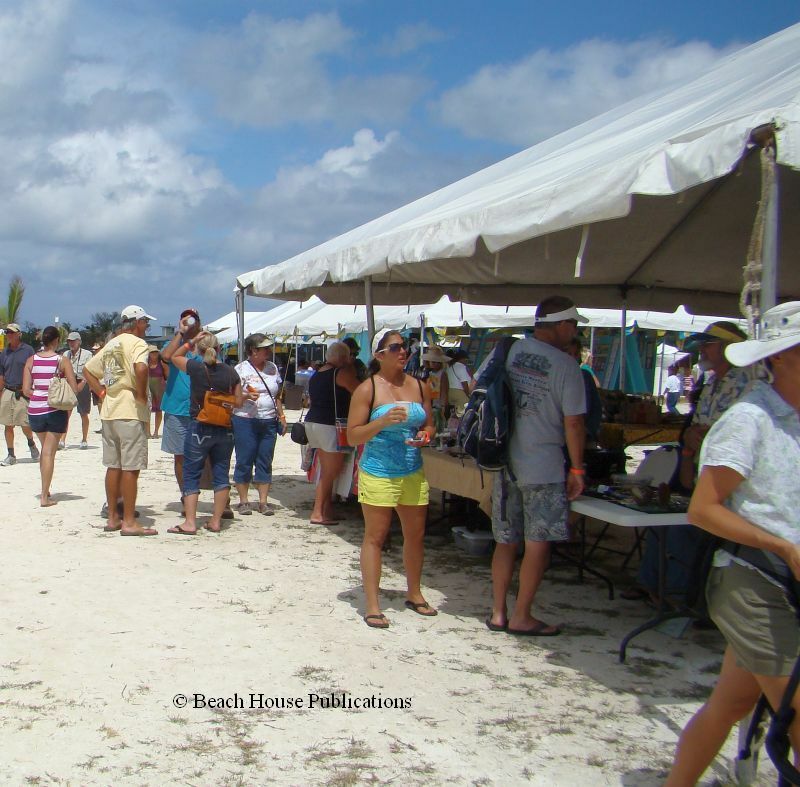 We knew it was getting very crowded due to the impending bad weather and the Island Roots Heritage Festival planned for the upcoming weekend. 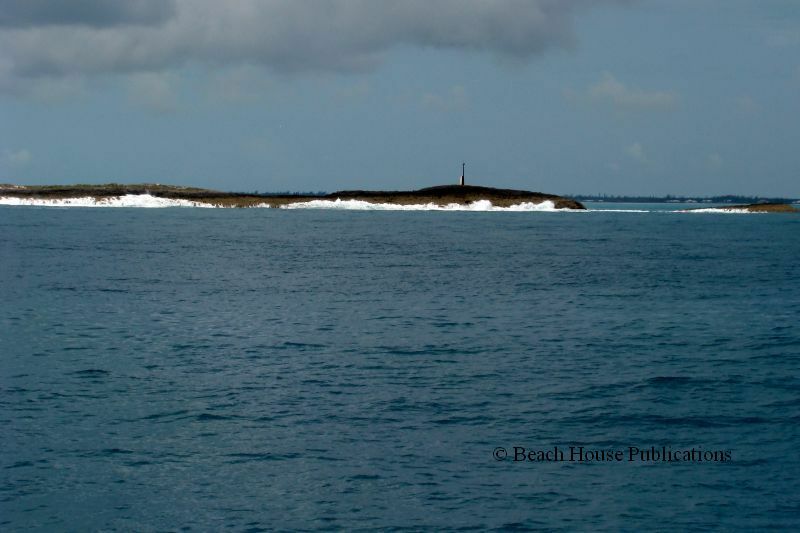 Black Sound is a well protected bay and the closest to the Settlement of New Plymouth. There are many options for mooring in Black Sound. There are several marinas including a full-service boat yard with haul-out facilities and tie-downs on a concrete storage yard. There are also moorings throughout the sound, owned by different individuals, so you need to find the mooring owner to get permission to use them. You can also anchor in the Sound. The bottom is grass and holding can be an issue if your anchor does not set well in grass, especially when bad weather blows through. The other options are White Sound, a long trip to the settlement, or anchoring off the settlement harbor, as long as strong winds are not out of the south or west. Also, the local ferries come through at full speed several times a day. Our friends rented a golf cart for a couple of days and gave us a ride to the festival grounds located on the point of the settlement right at the harbor. There was a band stage that would host several groups over the 2+ days of the festival, and lots of vendor tents selling food, artwork and many locally made items. A large tent in the center of the grounds depicted the history of the Bahamas and was quite interesting. There was a Maypole dance by the children from the local school and even the visitors got into the maypole dance. We enjoyed being able to spend time with other boaters as well as the local Bahamians. The weather didn't completely cooperate and by early Friday afternoon, serious rains began to set in so we hurried back to the boat. Friday evening proved to be very interesting. Around 6:00 pm, we were sitting at the table in the main salon having dinner. Suddenly, there was an announcement over the VHF radio that a waterspout was in the area. 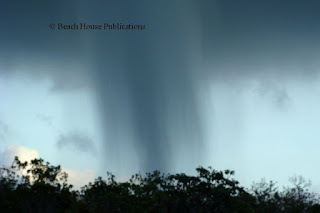 As we opened the side door to check things out, we immediately saw the waterspout over the Atlantic waters just over the hill from our location. By now, everyone was on the dock watching in awe. Awe soon turned to concern and then downright fear as the waterspout made landfall, became a tornado and was obviously heading right for us. To say it was disconcerting is an understatement. 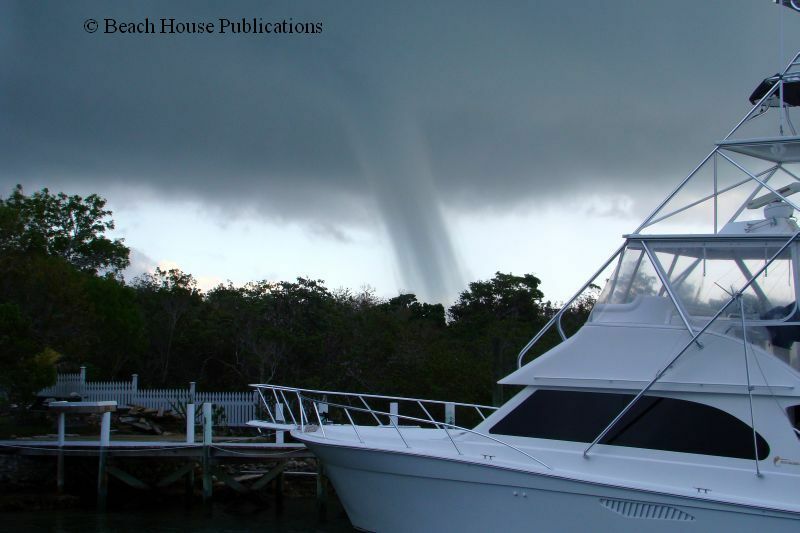 We have never had a close encounter with a tornado while we were on the boat and definitely not this close. As we stood and watched, it grew in size and continued to move closer. Debris from trees and who knows what else was visible in the spinning cloud instead of water. Suddenly it began to rain hard and the loud pop of a transformer blowing out close by meant this was a serious twister. The sight was almost hypnotizing if it wasn't so scary and it just kept getting closer. But then, very slowly, it began to weaken, probably faster than it appeared to us. It finally dissipated just before it came over the top of the hill and reached us. Through all of this, other than the rains, there was little to no wind around us and the noise many report hearing before a tornado never came. It was eerily silent through the whole event despite the fact that it was near enough to throw leaves and debris all over the deck and in the dinghy, which was in the water. This is not the first time we have felt that a divine hand has reached down and said, "OK, that's enough," and disaster was averted. If this had happened after sunset, it's unlikely anyone would have seen it coming. From what we can tell, other than the blown transformer and brief power outage, there was no other serious damage. The weather is expected to get better in the next day or so. We can only hope it doesn't get any worse so everyone can enjoy the festival. If you choose this lifestyle, it's never dull. We heard from Donny, our dock owner, that three houses were damaged. They had windows blown out. Also one car was damaged. We were so lucky. Our boat is fine and no other boats were damaged. Talk about lucky! Hope to catch up with you sometime today or tomorrow. Yes, we are starting to hear reports of the damage to homes in the area. We were very lucky and it would have been a disaster if it had reached the boats in the Sound. Your photography is great. Love receiving your emails about your travels through the Bahamas. Can't wait until you publish your Bahamas book. Thanks. We do plan to come to your area, but it won't be this summer. 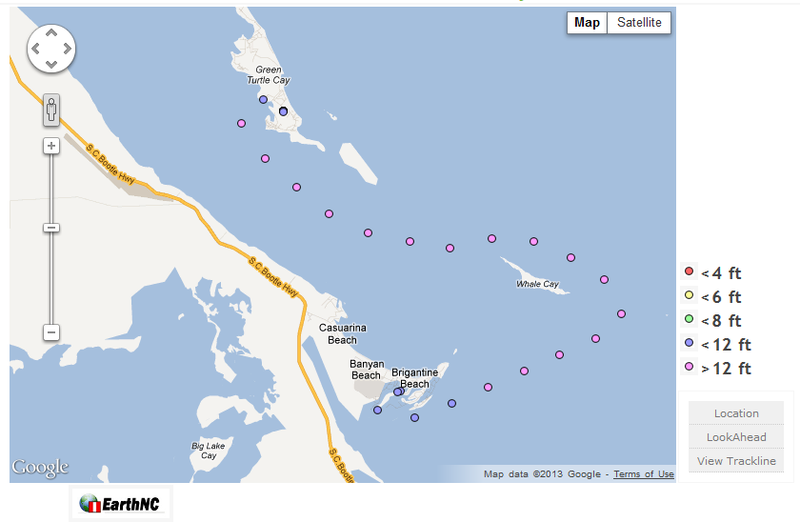 Delays in the Bahamas are getting us north late so we will head south again for the winter and then north next summer.